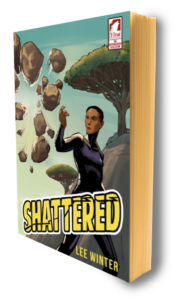 (Fantasy) Shattergirl, Earth’s first lesbian guardian—a brilliant but aloof alien superheroine who can hurl and destroy large objects—is refusing to save people and has gone off the grid. Lena Martin, the street-smart tracker with a silver tongue and a disdain for the rogue guardians she chases, has only days to bring her home. As the pair clash heatedly, masks begin to crack and brutal secrets are exposed that could shatter them both. Order Shattered at Ylva Publishing.